I love all dogs, mutts and purebreds. We had an Old English Sheepdog and a pair of German Shepherds when I was growing up, but we also had a nondescript brown dog that someone dumped on the road outside our home in the Oklahoma countryside, as well as a Schnoodle named Max, who was spoiled to no end by my mother. When it came to getting a dog of my own, however, a passion for history led me to a purebred. Many dog breeds have been around for centuries, companions to kings and commoners alike. I love looking at old portraits and seeing a dog just like the ones sitting on my sofa staring back at me. The other factor was the specific appearance and personality of purebreds. My husband and I knew exactly what we wanted: a large dog with a short, easy-care coat, not too many health problems, and a laidback temperament suitable for first-time dog owners. That dog turned out to be a Greyhound, and by adopting a retired racing dog we were also able to help a dog in need. When Savanna died at the venerable age of 13, we decided a different type of dog would be better suited to our upstairs condo. Carrying an old, blind, three-legged greyhound up and down the stairs was good for our biceps, but the thought of falling with her was terrifying. This time, we wanted a small dog with the same sweet, easy temperament but a little more coat. 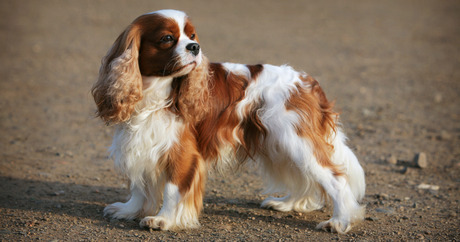 A Cavalier King Charles Spaniel fit the bill and we got Bella, a three-year-old retired show dog. Choosing a purebred doesn’t mean spending a lot of money or ignoring dogs in shelters. Adopting an adult purebred from a shelter (yes, you can find them there) or a breed rescue group is a wonderful way to learn what it’s like to live with a particular breed and decide if you’re ready to face the challenge of a puppy. In the end, it’s not important whether you choose a mutt or a purebred, but whether you choose the dog that’s right for you. Meet your match on Dogfinder’s MatchUp!